Home › Uncategorized › Play Ball! It’s almost Opening Day! Time to listen to my favorite baseball song “A Dying Cub Fan’s Last Request” by Steve (City of New Orleans) Goodman. In the mean time here’s something for the data geeks out there – and you know who you are. 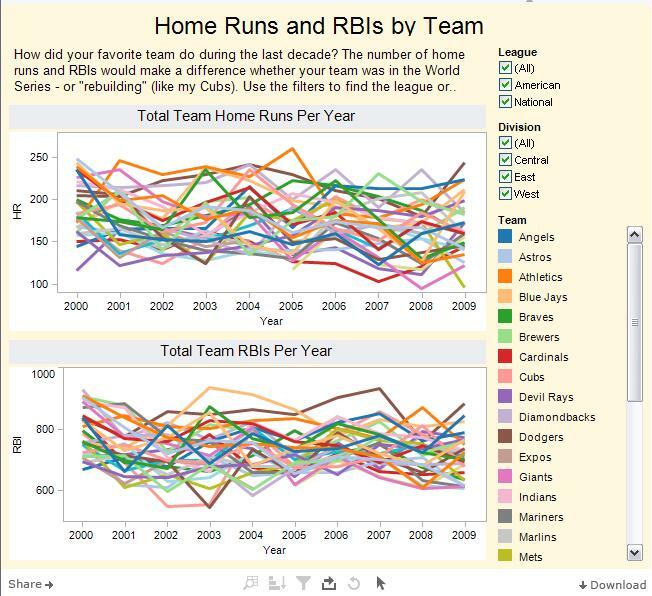 This is built using Tableau – a drag and drop data visualization tool. Download it yourself and give it a try. WordPress doesn’t allow me to embed the working visualization, but you can see a working version of this visualization here.